Deep Fryer vs. Air Fryer: Which is the Better Choice? Fried food is crunchy, soft on the inside and very delicious. No matter the food that you deep fry, the results are always amazing and finger licking. As long as the food is properly cooked, there is no way to resist it. This explains why deep fried foods are popular and food chains that sell the food are mushrooming every day. There are two types of devices used to deep fry food: air fryer and a deep fryer. When planning to buy an appliance for frying samosas, French fries, chicken, and nuggets among other foods, you need to decide which of the two appliances suits your needs. 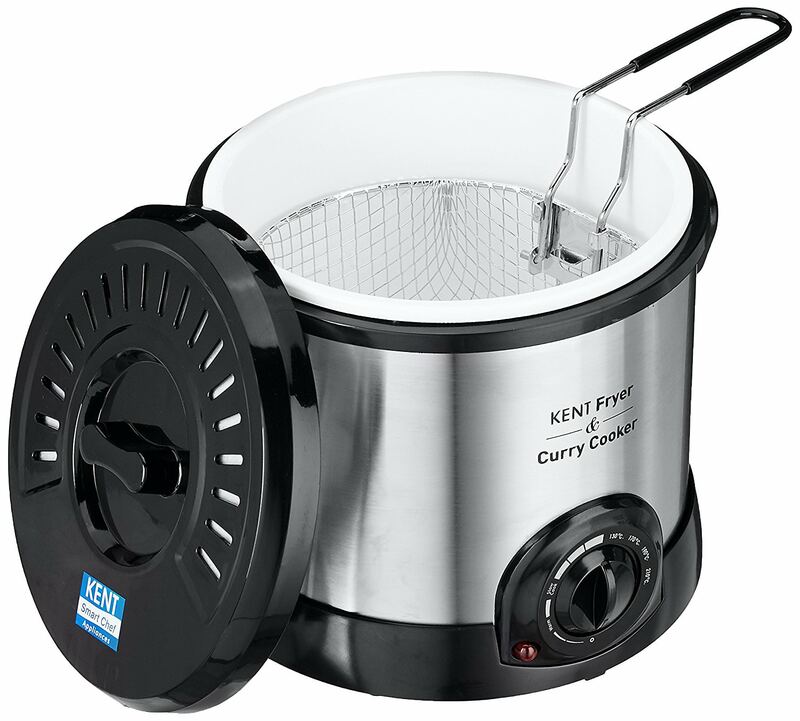 When using a deep frying appliance, the food is immersed completely in the oil while you only use a teaspoon or no oil at all when air frying. Dipping the food in oil guarantees complete cooking of the food and a thick and crispier crust on deep fried food. Unfortunately, some air fried food can come out more dry than you would expect if you have deep fried the food. Air fryers are more flexible in that they allow you to grill or to bake desserts while a deep fryer is strictly used for deep frying. One of the reasons why deep fried food is so popular is because of its taste. This means that taste should be one of the determining factors when choosing a fryer. There are two reasons why deep fried food is tastier than air fried food. Deep fried food is totally immersed in the oil for a certain period under a specific temperature. Submerging the food in the oil allows the food to cook evenly. This gives the food a solid and crispy taste. The second reason is the use of batter when deep frying food. It is not possible to soak your food in batter when using air fryer as the air will blow away the batter. The batter improves the taste and the look of the food. Since you can use different ingredients to prepare the coating for the food, this makes the food more delicious. It takes less time to deep fry food compared to the time taken to air fry. The oil used in deep frying is preheated to a certain level which allows effective heat transfer. When cooking using an air fryer, a frozen potato wedge takes 15 minutes but the same potato takes less than 5 minutes when deep frying. Deep fryers come in a wide range of sizes. The baskets used in frying come in varying sizes which can serve a greater number of people compared to an air fryer. Frying food gives it an added taste that makes it simply irresistible. The two frying appliances are easy to use, and they provide amazing fried food. Taste is one of the determinants used by many people when deciding which fryer to buy. This is why deep frying appliances are now being used in homes unlike before where they were only used in restaurants.